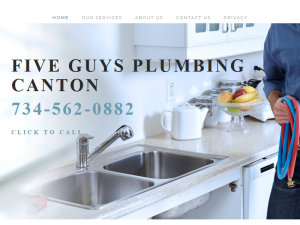 Blog Discription: Five Guys Plumbing Canton offers the best plumbing service in the Canton Michigan area. We have over 20 years’ experience in the plumbing industry and are confident that our plumbers can handle any plumbing issue you have. We service both residential and commercial customers, making it convenient to get your plumbing needs addressed no matter the location. We service both small and large jobs and offer services such as clogged drains, pipe leaks, leaky faucets, and plumbing installations. We also provide 24-hour emergency service for your plumbing needs that just can’t wait. No matter the job, or time, the team at Five Guys Plumbing Canton can help! Call us today to find out how we can help with your next plumbing need.